And we’re back! =D Sorry for the long delay, but it should be over with now. And I came up with a couple new ideas in the meantime. No just kidding it really does seem that way sometimes! Haha! Well, the stretch along I-80 is particularly bad. 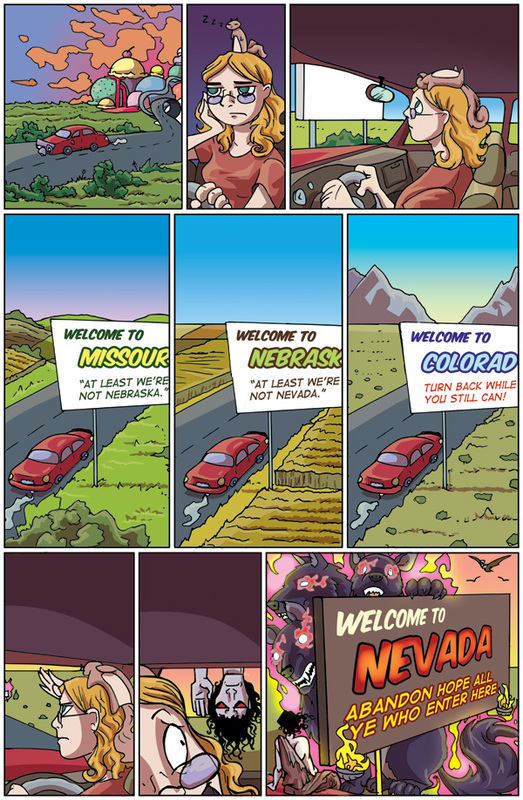 Nevada – Anagram for Hell. Haha! Why do I feel there must be some hellgate connecting the two? That slogan would be more appropriate for Texas. Eh, I’m gonna stick to my guns on this one and say that Pennsylvania is still Mordor with trees on top.